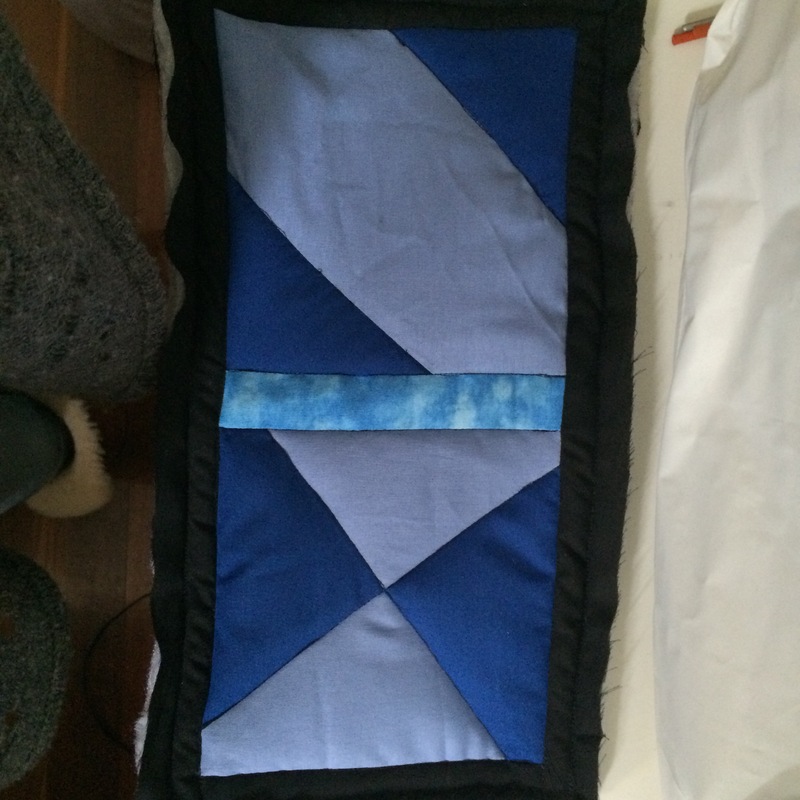 After admiring for a while all the lovely quilt work from Claire on her blog, I really wanted to give it a go. So I followed her advice and started small, with a 2 block table runner. I used some scraps and I had a lot of fun. 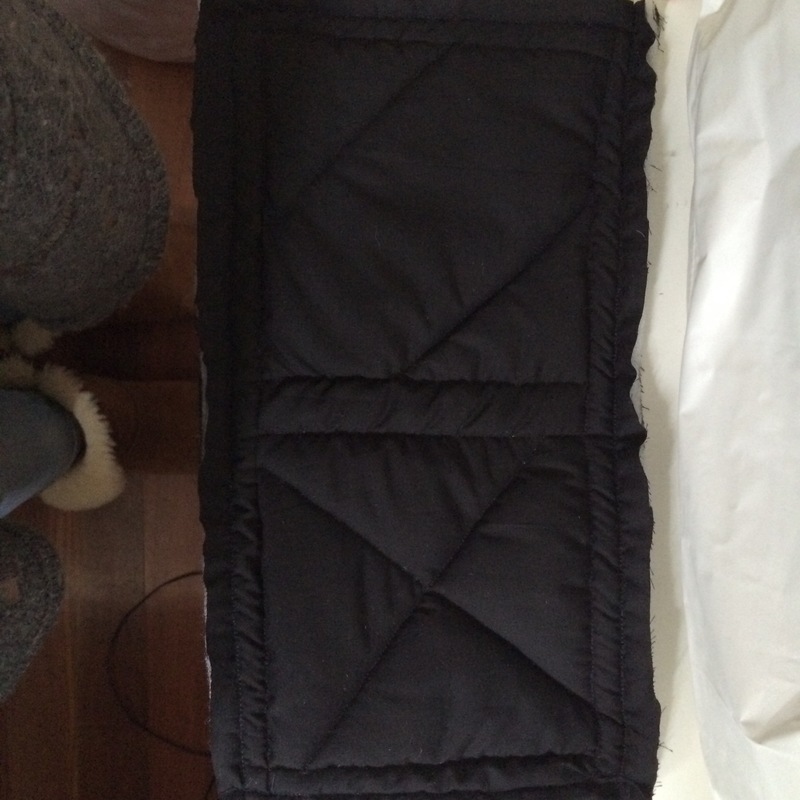 For the back I just chose a plain black fabric I had leftover from my Harry Potter robes. 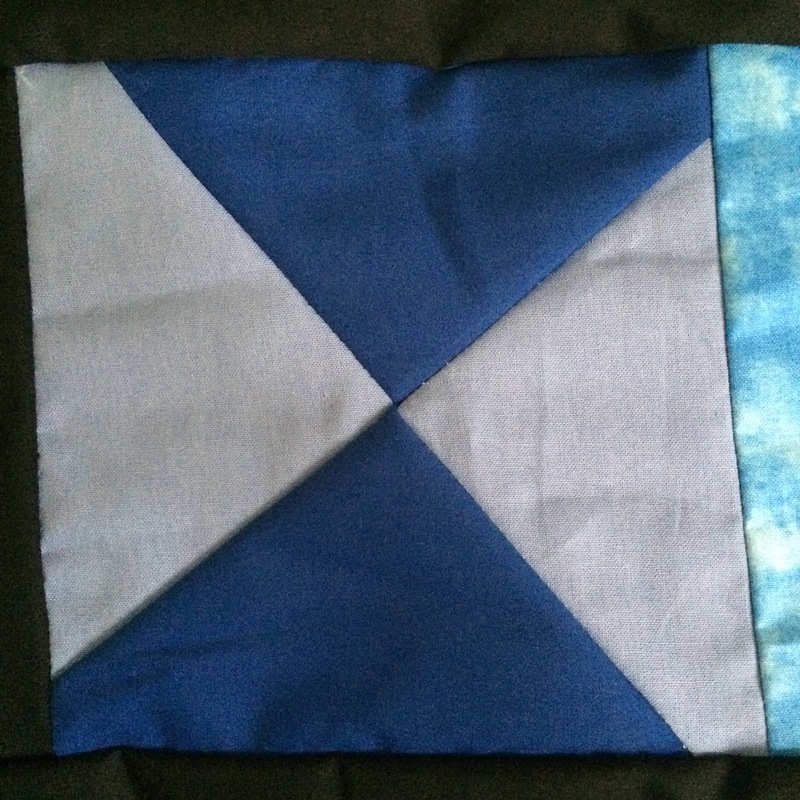 For the actual quilting part, I just followed the sewing lines I already had. I will soon be visiting the UK and while we are there we have planned a visit of the Harry Potter theme park. As you may know, I’m a HUGE Hp fan, so, in the spirit of my upcoming trip, I have made a few preparations. First off, I finished my Hogwarts robes, which I made for our Harry Potter Halloween party last year. I took this test to know which house I belonged to, and I got Ravenclaw! The robes were wearable for Halloween but I wanted to improve them a bit, so I put binding on the sleeves and I added a button and some elastic band to close it off. 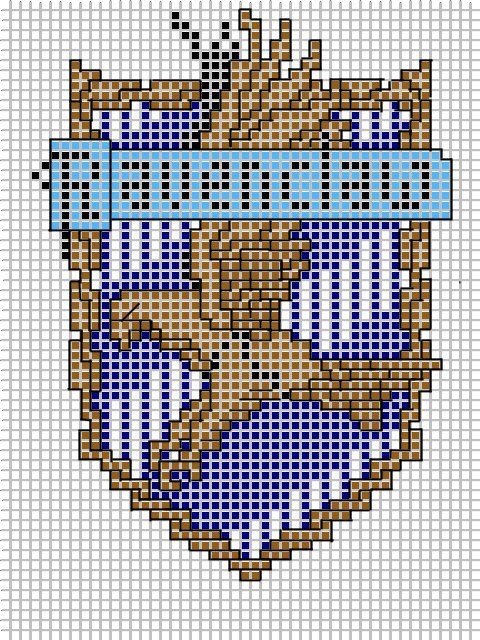 I also needed my house crest so I started stitching it on 14 count aida, using this graph found on Pinterest. I changed up the colours a bit and this is where I’m at. 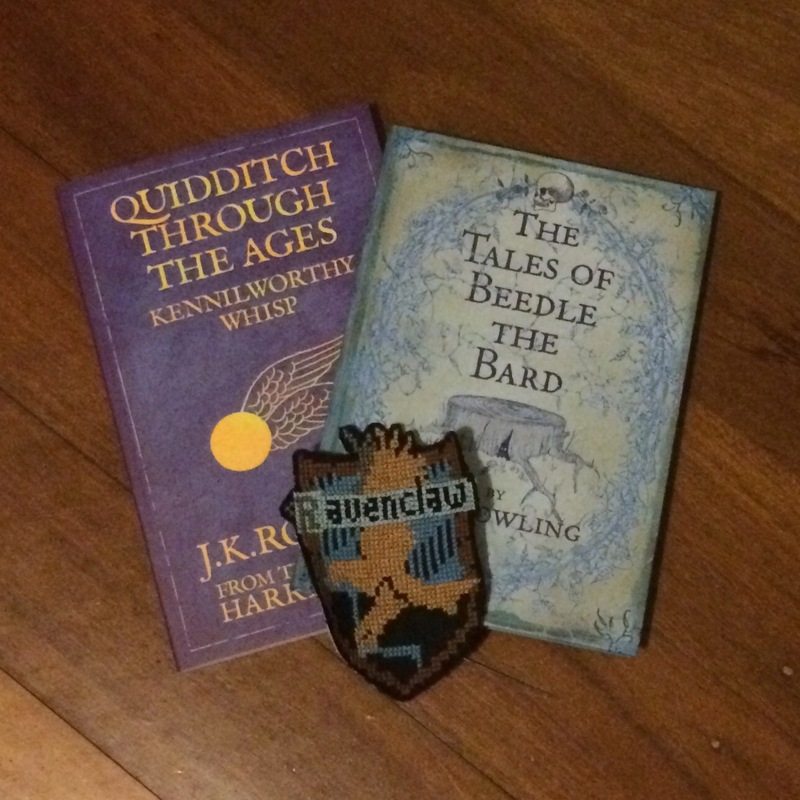 I also acquired some Hogwarts book as you can see, just to be ready for when I finally go there (after all, I’m a Ravenclaw and we like to read ahead!). I also made up this layout for an embroidery project I have in mind. 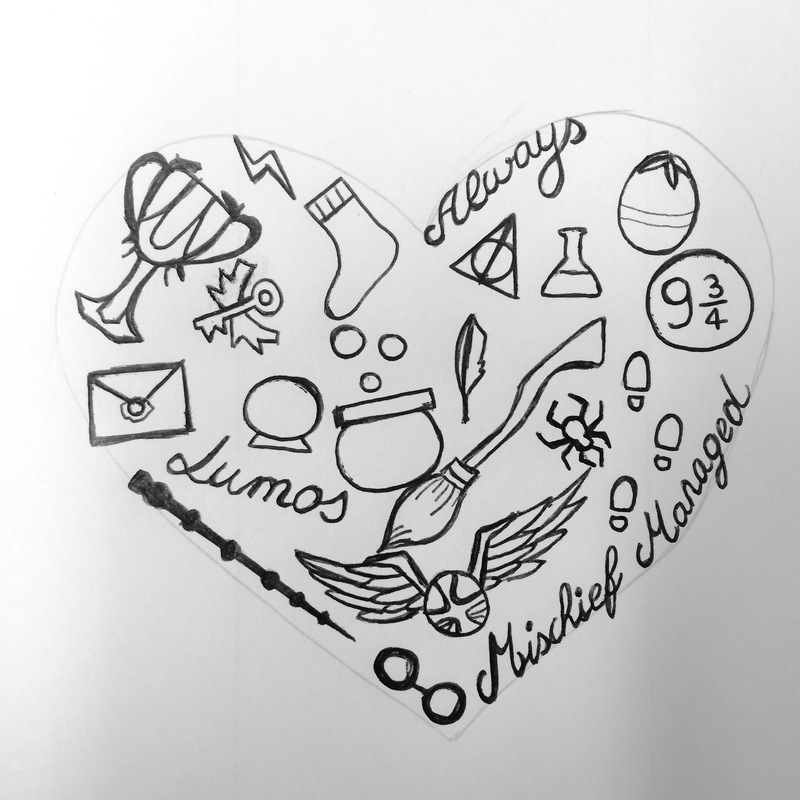 I used a bunch of HP related symbols and phrases and put them all in a heart. Oh, and did I mention I LOVE Harry Potter yet? 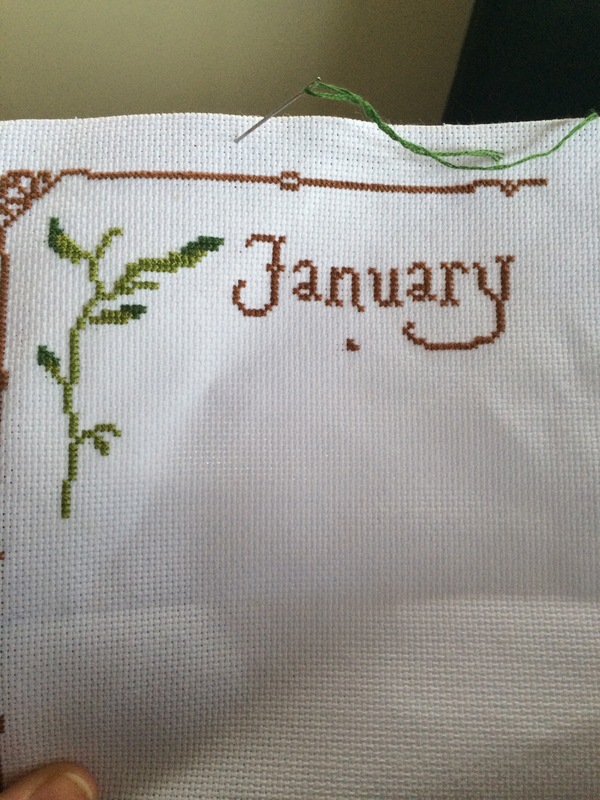 Now, back to stitching, I haven’t yet found a way to enchant my needle to work on its own. 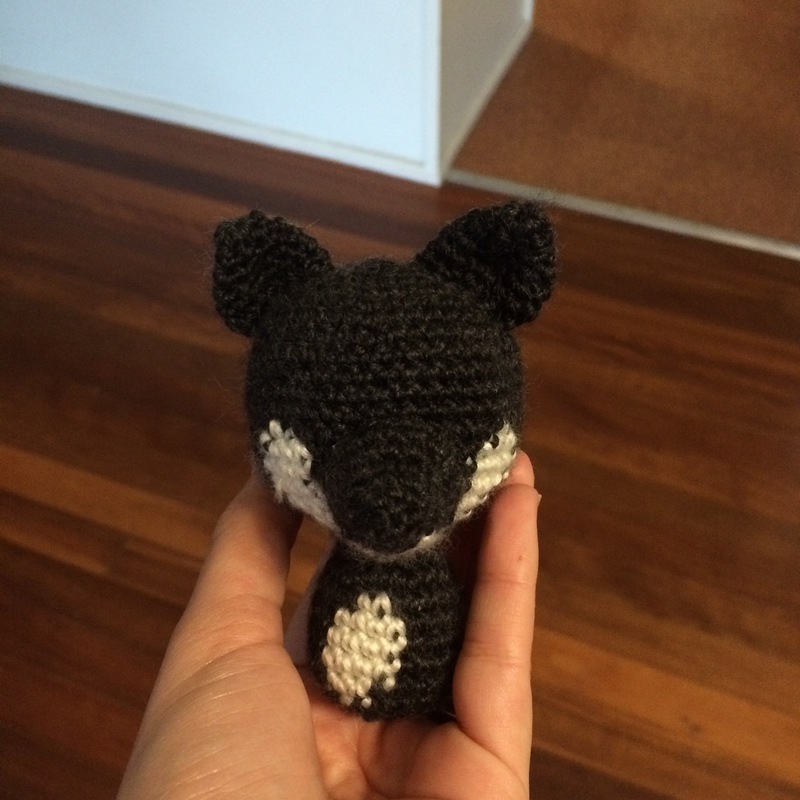 I’ve also found what to make for my goddaughter, I’m making her a little wolf amigurumi from Moon Sweet Collection (free pattern). Here it is so far. I also have the legs and tail but haven’t attached them yet. 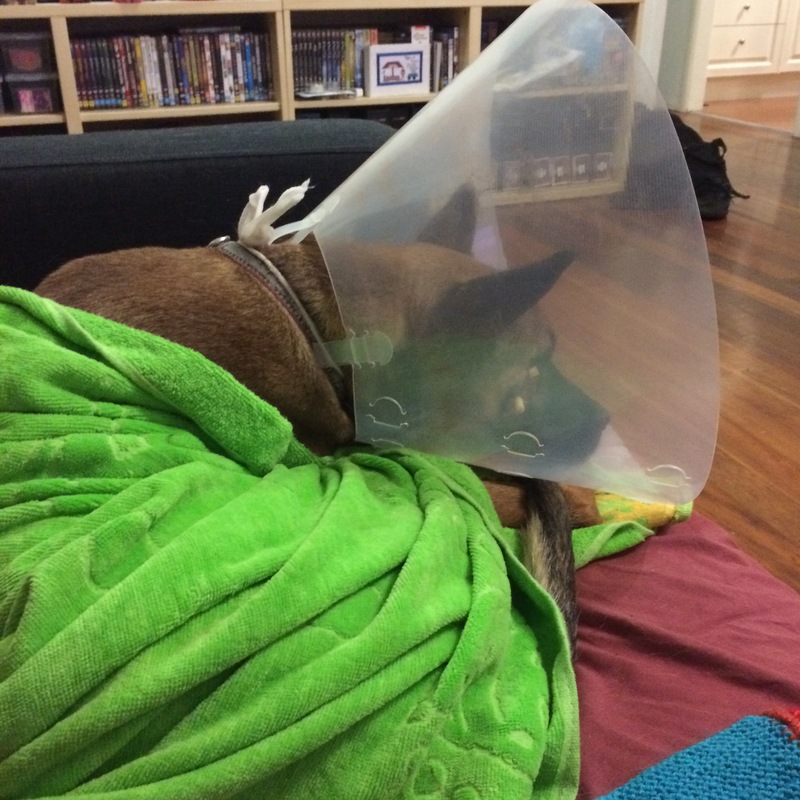 He got a grass seed stuck in his gum, and he developed a big sore on his face a a result 😦 but he got surgery yesterday so he is all good now thank god! Now back to craft, I have a FO to show! 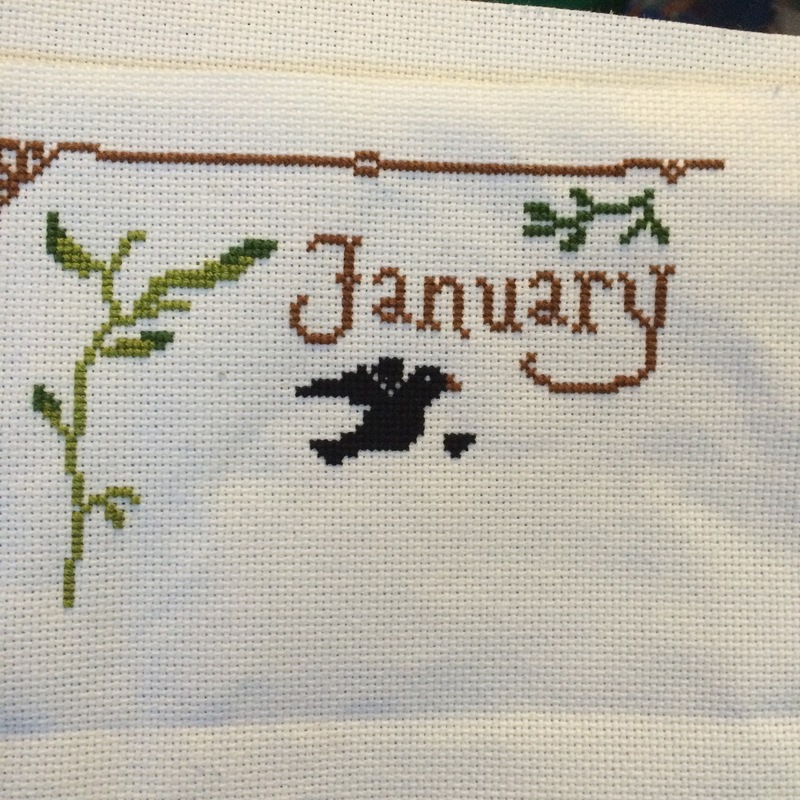 I also have a new cross stitch WIP, monthly designs from the snowflower diaries. I can’t remember if I have mentioned it yet, but we are off to Europe pretty soon, and from Australia we have around 30 hours of flight (so around 60h to go there and come back). I thought it would be the perfect time to start another project, one that doesn’t require 40 skeins of different yarns! 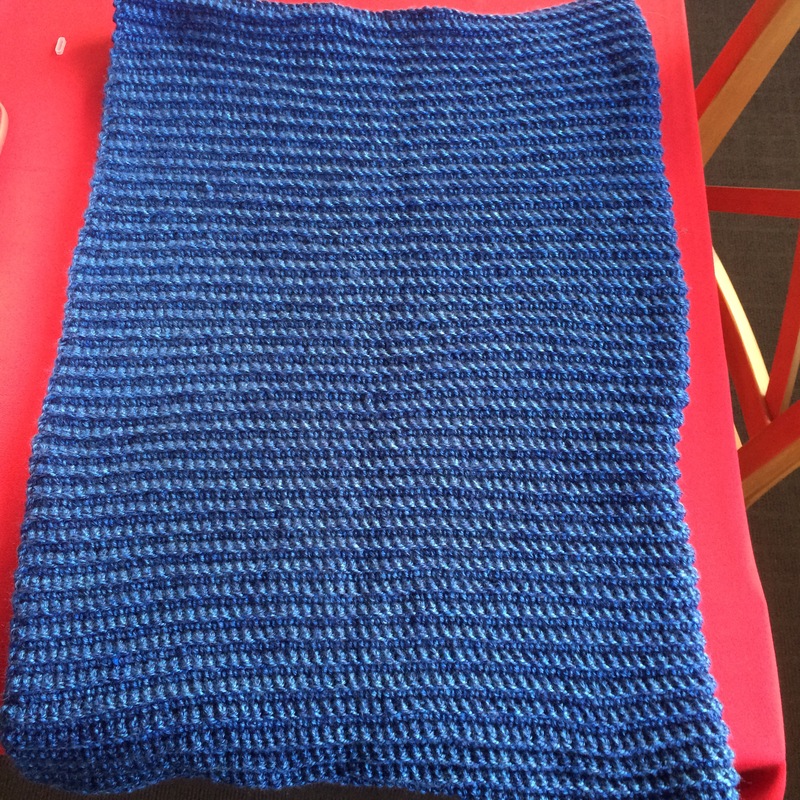 Because it’s always cold in planes and it’s winter here in Oz, I have been searching for a jumper pattern. So off I go to Pinterest, browsing for styles I like. A hood? why not. Good length? For sure! I definitely also want long sleeves. Baggy? hum, not really, I’d like something more fitted this time. 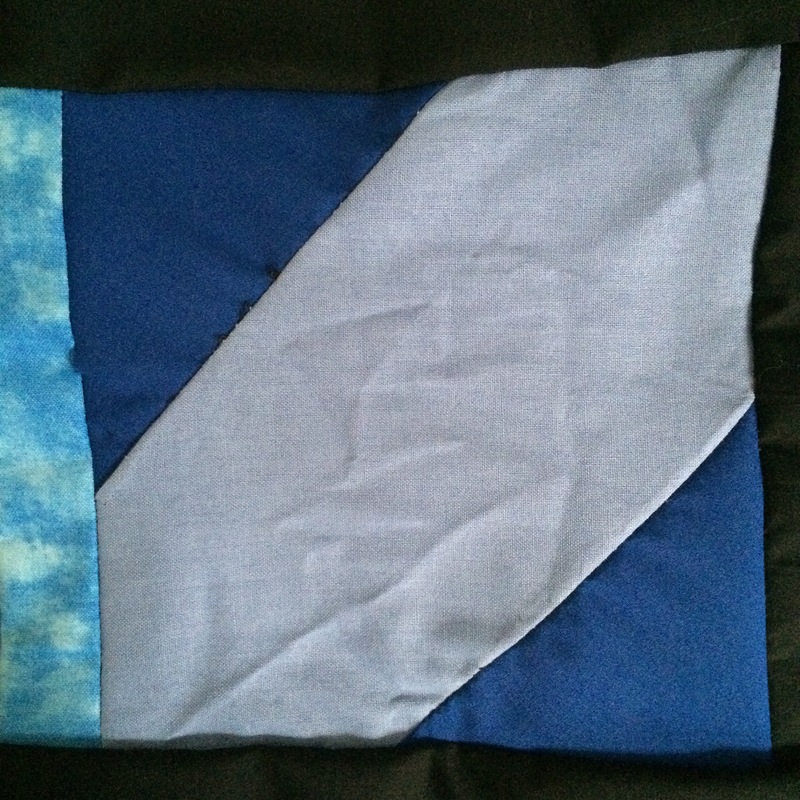 I found a few free patterns that I liked. The only issue I had with all those patterns was that they all use cotton, which is nice but I feel like winter in a bit cold for a cotton jumper. In the end, I decided to browse Ravelry. And there, I fell in love! The name of this pattern (My favourite crochet pullover) was perfect as well, and I am sure that it will also become my favourite jumper pattern! You can buy the pattern on Ravelry and you can go check out Katy’s blog as well, it’s pretty cool, with a great gauge tutorial and some very cute free patterns, as well as the links to all her paid patterns. I’ve already done my gauge, and I only have to go get my yarn before we leave 🙂 So excited to get started on this one! I wish you all a smashing weekend! I know I don’t let you know nearly enough, but I am really so grateful to all of you for reading me and for all you kind words of encouragement. I have been nominated for 2 blogger awards in the last few days, so I though I would combine them both in the one post. First I will go with the versatile blogger award. Share 7 facts about yourself! I was biting my nails until last year, but I’ve always been so excited by nail art, which I now can experiment with! I spend most of my time bumping into things, which means I always have bruises, cuts, sore part of my body. Yep, I’m that person who falls in front of everyone in the street because I randomly twisted my ankle! I like LOVE food. If I could (i.e. if I wouldn’t get sick from it and put on weight), I would eat all day long, everyday! I sometimes wonder how I’m not morbidly obese. It is very hard for me to filter when I talk to people. Sometimes, I just talk before thinking, and that’s no good! Really working hard on that one. Now the second award is the blogger recognition award. Thanks Karen, or should I say Mrs. Craft, for nominating me 🙂 I really love all her posts, some are just plain hilarious, like when Doug the slug introduced himself! I always find so much inspiration in all her projects, so make sure to check it out! I’ve found that focussing on stats is really not the way to go. What’s important is staying true to yourself and sharing what makes you happy and proud. The follows and likes will come in time. Now, I will nominate a bunch of people, in no particular order (I really love all of your blogs! ), you can chose which award you want to participate in, you can even do both if you feel like it! Make sure to check those awesome people, it’s well worth it!